A modern take on the classic Chesterfield sofa, shrunken down for children. 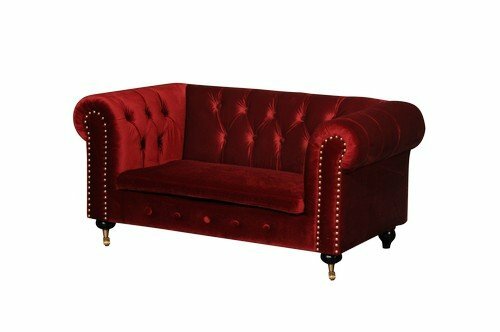 This sofa features gorgeous hand applied button tufting and nail head trim, along with 2 wheels in matching trim. The velvet and metal combine to create a truly luxurious experience that both children and adults can appreciate. Solid wood and stainless steel are used throughout. Seat Height is 10". no assembly required. If you have any questions about this product by Pangea Home, contact us by completing and submitting the form below. If you are looking for a specif part number, please include it with your message.